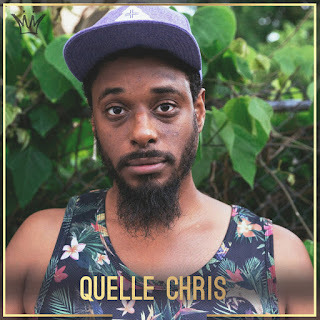 If It's Too Loud...: Quelle Chris - "Obamacare"
Now this is what I want from hip hop. "Obamacare," the latest track from Quelle Chris's upcoming album Guns, starts off with a burst of bizarre almost industrial sounding noise that would sound more at home in a Sonic Youth song than your average hip hop song. From there the song gets a bit more tuneful, but there is this odd quality to the beat that isn't completely comfortable. As someone who's favorite rap group is Public Enemy, this is a type of sound I've missed for far too long. Guns, the new album from Quelle Chris, will be out March 29 on Mello Music Group. You can pre-order a copy here. For more on Quelle Chris, check out his Twitter. Sebadoh - "celebrate the void"
The Suitcase Junket - "Everything I Like"
Stef Chura - "Method Man"
Faye Webster - "Room Temperature"
The Gotobeds - "Calquer the Hound"
Heather Rose in Clover - "Satellites"
Nolan the Ninja featuring Jaye Prime - "Oranges"
Daniel Norgren - "Let Love Run the Game"
All Girls Arson Club - "Untitled"
Partner - "Tell You Off"
Saint Lo. - "Blueberry Fields"
Nots - "Half Painted House"
Wet Dreams - "Bad Boy"
The Get Ahead - "Deepest Light"
John Shakespear - "Spend Your Youth"
Lenny Bull - "Don't Talk About It"
Jonas Friddle - "Drinking in a Dry Town"
The Abyssmals - "For All of Time"
Reese McHenry - "Bye Bye Baby"
Izzy Heltai - "Marching Song"
Doug Tuttle - "I'll Throw It All Away"